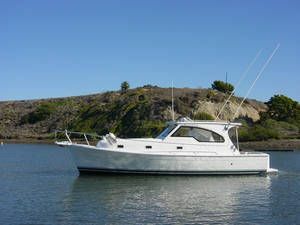 Lou Mencuccini, I wanted to thank you formally for the great job that you did in selling my 34 ft Mainship Pilot. As you know, the boat languished on the market for 6 months with another broker and we never saw a potential customer. When I signed with you, the traffic started right away and we had an offer within a couple of weeks. Although, that offer did not pan out, you persevered, and continued to bring people to see the boat. In less the two months another buyer was found and the deal consummated. Your willingness to keep working hard at networking with others brokers to keep the flow of potential buyers was a big plus. Your efforts to assist in keeping the boat looking sharp when customers were coming, was much appreciated. In sales, sometimes it’s the little things that can win a customers appreciation,Lou, your several little things all added up to finding the right customer and pushing the deal through when it counted. So, thanks again and do not hesitate to use this letter as a testimonial of your service. I would be happy to personally recommend your services to anyone.